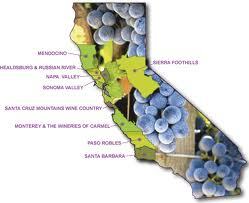 Can California wines crack the UK market? It was George Bernard Shaw who described England and the United States as “two nations divided by a common language.” The famous quote kept coming back to me on a recent tour of California’s vineyards. The countries have their similarities — a love of sport and an unshakeable belief in democracy — but they are profoundly different too, not least in the way they approach wine. Two main things stand out, of which the first is price. American consumers are prepared to pay more for wine, any wine, than we are. “This is our entry point red,” one winery owner told me, opening a fruity Zinfandel. “And how much does it cost?” I asked. “Around $20,” he replied, probably unaware that this would place it in the super-premium sector back here. To confirm what he said, I visited the wine aisles of a local Safeway store. Sure enough, the average price of a bottle of domestic wine was around $15. Of course there were cheaper jug wines on offer, parked unceremoniously on the bottom shelf, but they were vastly outnumbered by more expensive fare. Wine wise, the second thing that divides our two nations is alcohol levels. American punters, as well as winemakers, seem to have no problem drinking something with 15% alcohol or more. Even one naturalised Frenchmen appears to have caught the high alcohol bug. “I live in Paso Robles, so I make Paso wines,” Stephan Asseo of L’Aventure told me, pouring his 16% Estate Cuvée red. Why the strapping wines? California’s mostly Mediterranean climate has something to do with it, but the blame (if that’s the right word) for all these über powerful reds and (occasionally) whites also lies with American critics. Anyone who tries to produce lighter, more nuanced wines gets low scores out of 100. Low scores mean low sales. Low sales mean the sack.